To visualize the results of the Missouri River Landing Warehouse project to support fundraising efforts. 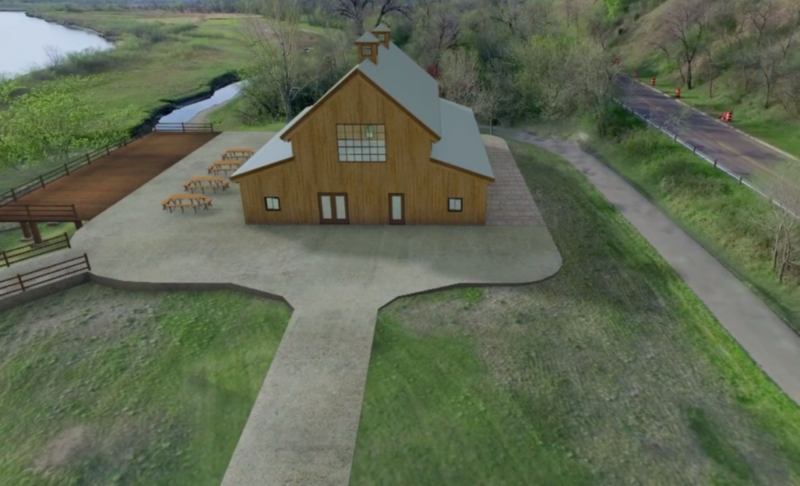 MABU, in collaboration with Shutter Pilots, proposed the creation of a 3D rendering of the building, which could then be incorporated into fundraising campaign videos and used for other Fort Lincoln collateral materials. The 3D model of the Warehouse was laid over drone videography to create a seamless viewing experience. MABU captured aerial views of the project site using drone photography and created a 3D model of the Warehouse. The model was then integrated with aerial footage of the waterfront space, which created a fluid visualization of how the Warehouse would look once construction was complete. The Fort Abraham Lincoln Foundation hosts the Missouri River Landing Warehouse campaign video on their website. Visit and watch to learn more about the project and to see MABU’s work in action!